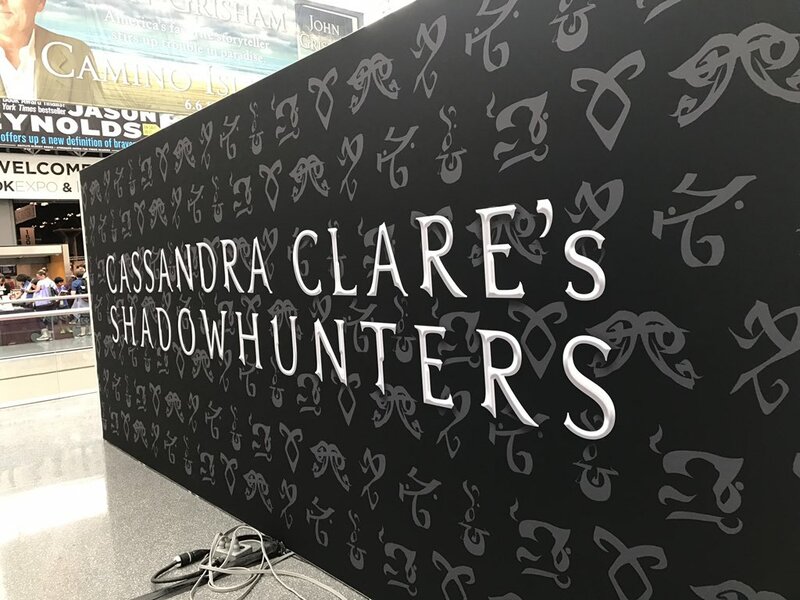 We were at Bookcon this weekend celebrating Cassandra Clare and Lord of Shadows‘ recent release. There were fun giveaways from Simon & Schuster, including The Dark Artifices postcards, rune pins, and a gorgeous Lord of Shadows poster. On Sunday, Cassie had an autograph signing and a panel, where she talked about all things Lord of Shadows, as well as revealed some exciting new information about The Wicked Powers, The Last Hours, and The Eldest Curses. You can purchase Lord of Shadows wherever books are sold!